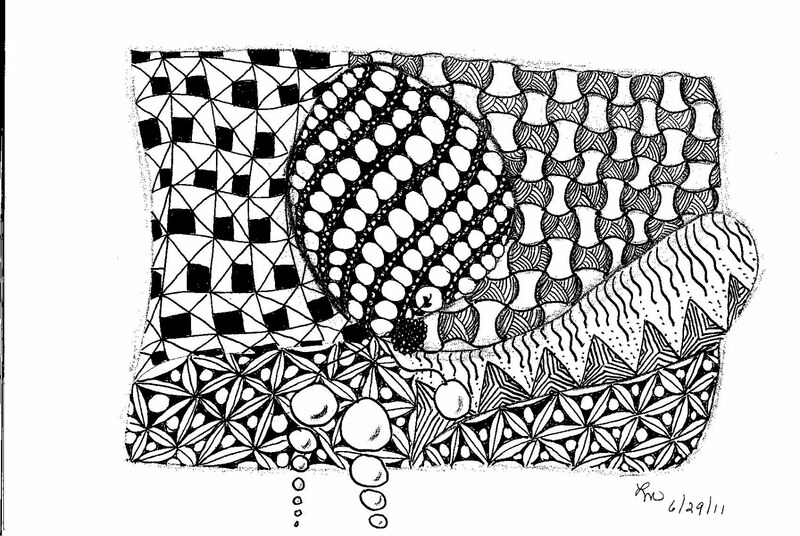 Here's my latest work of the day. I started another one today at my doctor's office. But after giving me a shot in my right hand will have to wait until the swelling passes to finish that one! Check out my sister, Virginia's new blog. 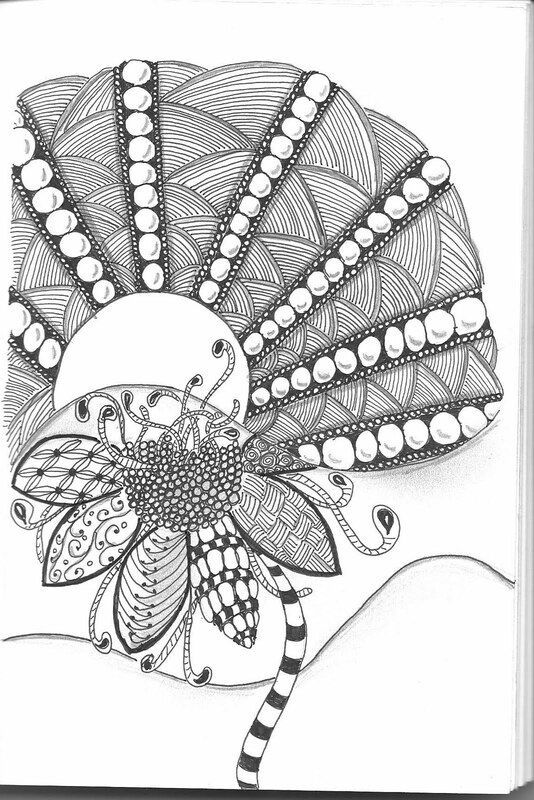 She is addicted to tangling too and will be showing off her work.http://www.buzzingwiththequeenbee.blogspot.com/. 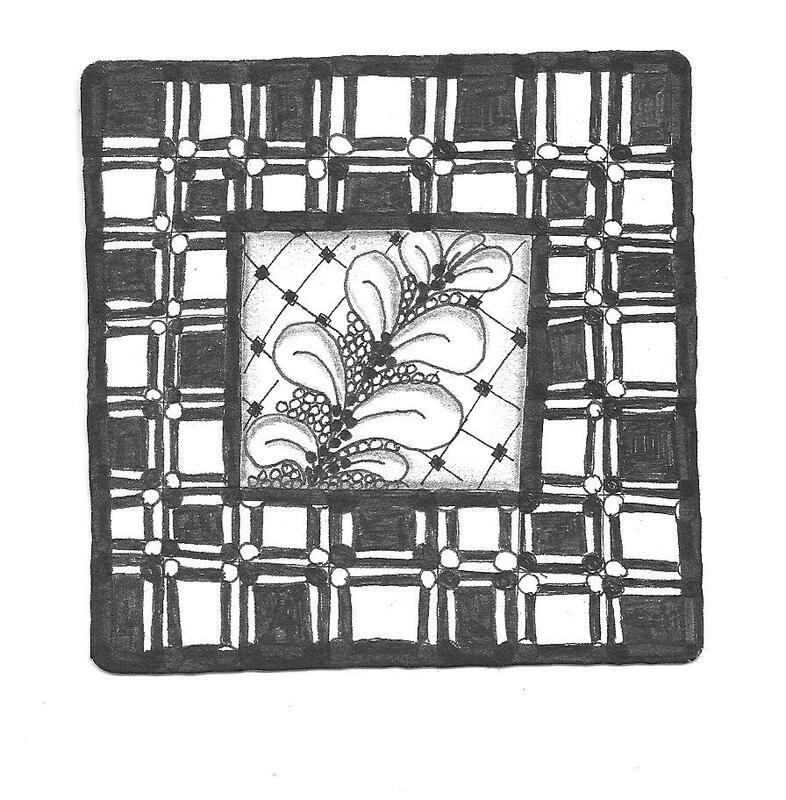 challenge this week was to tangle a tile on a tile. This is my try. It is the first time I have attempted a challenge. But even more challenging is the success of getting this to their site. Hope this works. I love this challenge. I feel as if I am ready to hang a picture already matted. My husband wants me to make more of these, mount them to cork squares, coat them and use them for coasters. Hmmmm. 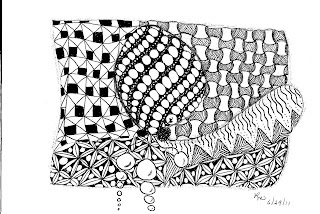 Zentangle is such a freeing art - no mistakes and the sky is the limit. Finally!!!! Summer is winding down and I am gearing up. 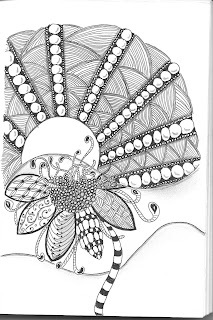 I am opening my studio to students who want to learn Zentangle. I will be holding classes on Wednesday and Saturday afternoons. Interested? Leave me a message with your phone number and I will get back with you. Classes are $35.00/per student. That includes all materials and a 2 1/2 - 3 hour class. Each class can hold up to 6 people. For larger groups, we would need to work out a venue or space rearrangement. I will also come to your house for group instruction with an additional travel fee, if there are enough people coming. If you are interested in a night class, we can negotiate that. REMEMBER, Christmas is coming and Zentangled gifts are fun to give, and inexpensive. Also at the studio, you can rent space to spread out your projects and work on them without having to clear off the kitchen table. Rent for a day, a week or a month. If you are an art teacher and would like to hold a course of your own, I rent space for that as well.